It’s like more than 6 months since OnePlus One was officially launched into the mobile market. Just after its release it got huge response due to its high-end specs and an affordable price tag made it to be “The Flagship Killer of 2014“. In order to buy One smartphone, invite system is used in which users have to get invites from OnePlus One or from other One users and can claim the invite to buy the flagship killer. There were some Open sales also made to give users a chance to to buy. But still most of the users reported that it was hard to buy this with invite system. After listening to all these feedback from users, OnePlus came up with interesting idea. Every Tuesday will be an open sale from now. Users can buy the flagship killer without any invite. During other days (except Tuesdays) the invite system come into action and users can still receive invites from other buyers who bought it. 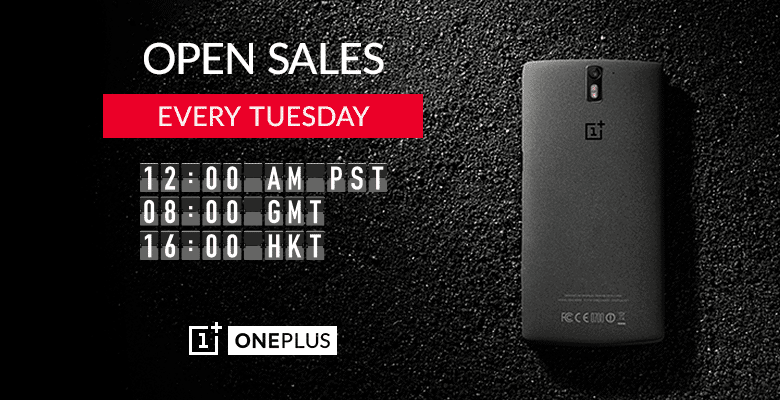 For Indian users tomorrow is the first Open sale for OnePlus One which can be purchased directly from Amazon India.